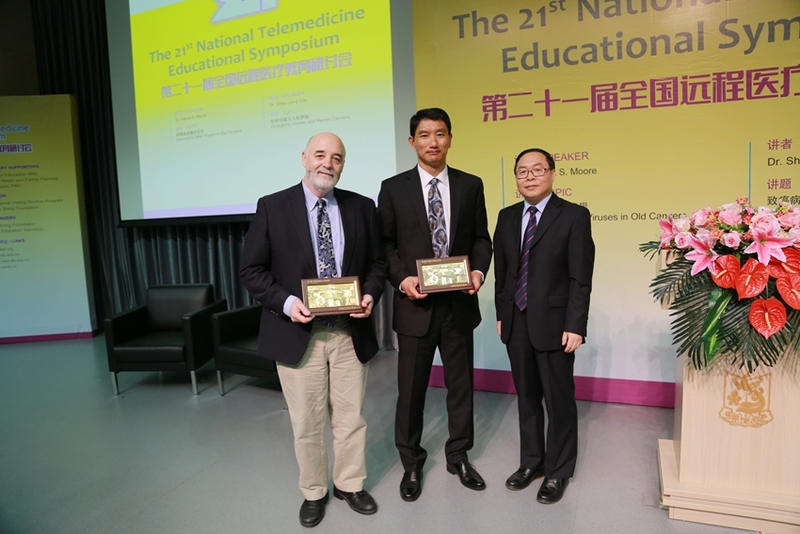 On December 5, the 21st National Telemedicine Educational Symposium, supported by Ministry of Education, National Health and Family Planning Commission, Li Ka Shing Foundation and China Education Television, was held at the 101 Lecture Hall, New SUMC Medical Education Center. 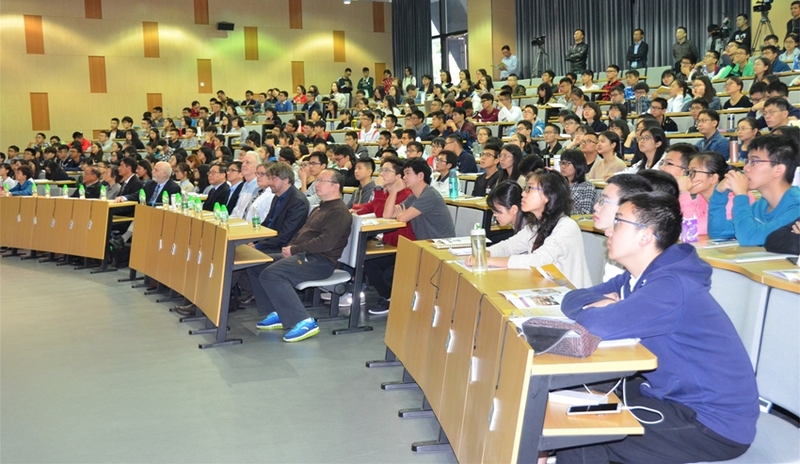 This year, the symposium was jointly organized by Shantou University Medical College, University of Pittsburgh and University of Southern California. 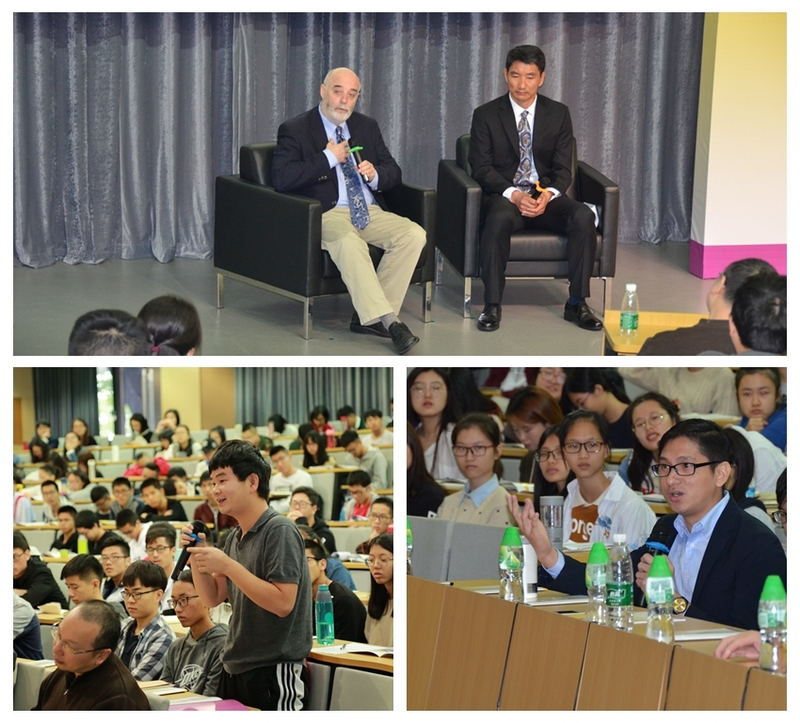 Dr. Patrick S. Moore from University of Pittsburgh and Dr. Shou-Jiang Gao from University of Southern California, delivered lectures in “Virus and Cancer” at the symposium. 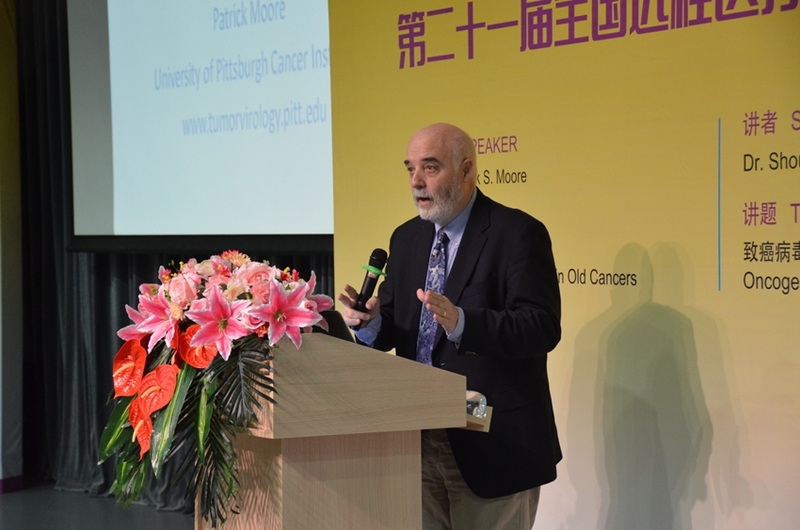 In his speech “‘Discovering New Viruses in Old Cancers”, Dr. Patrick Moore pointed out that one in five cancers worldwide are caused by infection, most of which are caused by viruses. His research helps people understand how a virus can turn a healthy cell into a cancerous cell and thus gain critical insights into how the growth of any cancer cell is controlled. 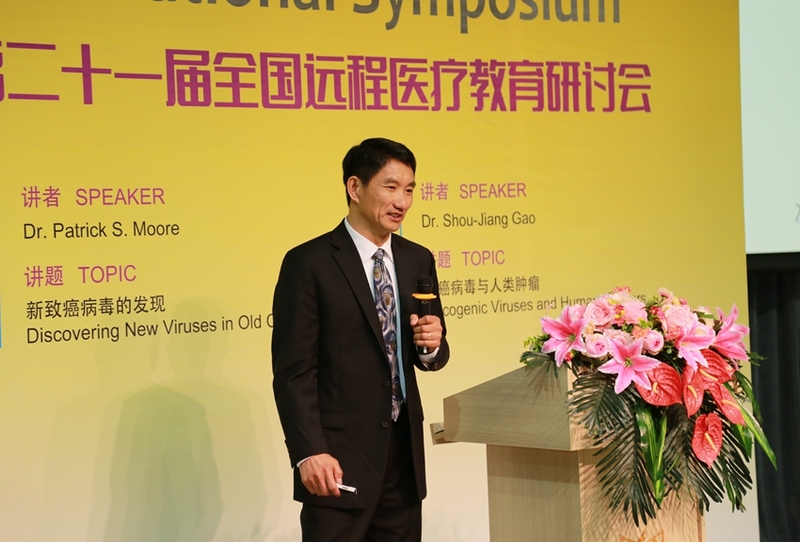 Afterwards, Dr. Shou-Jiang Gao gave a talk on “Oncogenic Viruses and Human Cancers”. 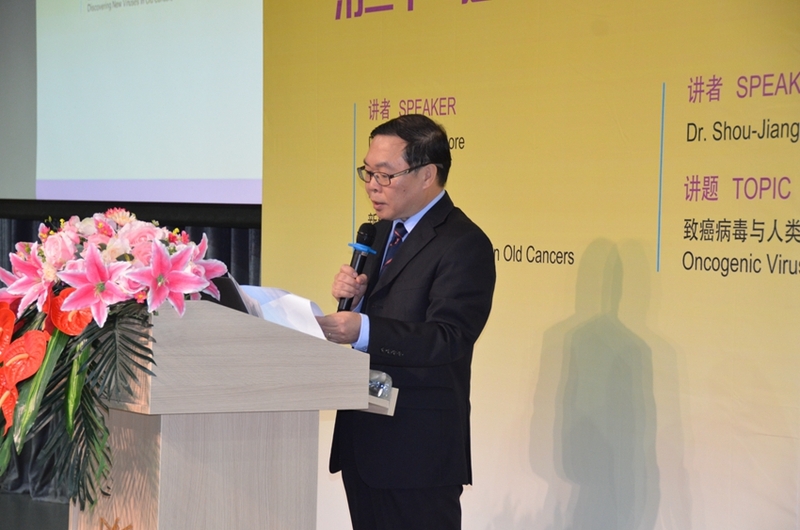 Dr. Gao indicated that as many as 15% of human cancers are caused by infections of viruses, and among these seven cancer viruses, two closely related human gammaherpesviruses Kaposi sarcoma herpesvirus (KSHV or HHV8) and Epstein-Barr virus (EBV) cause several important cancers in China. Works from his laboratory have provided critical insights into the molecular mechanisms of KSHV infection and KSHV-induced oncogenesis, and identified numerous promising therapeutic targets and agents for KSHV infection and KSHV-associated cancers, which have the potential for translating into clinics to benefit the patients. 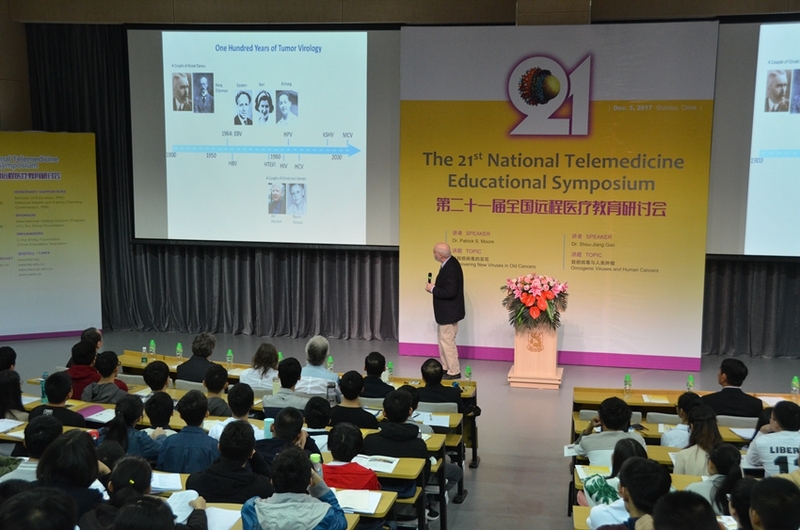 To date, the “International Visiting Doctor Program” of Li Ka Shing Foundation has generously sponsored 21 national telemedicine symposia. 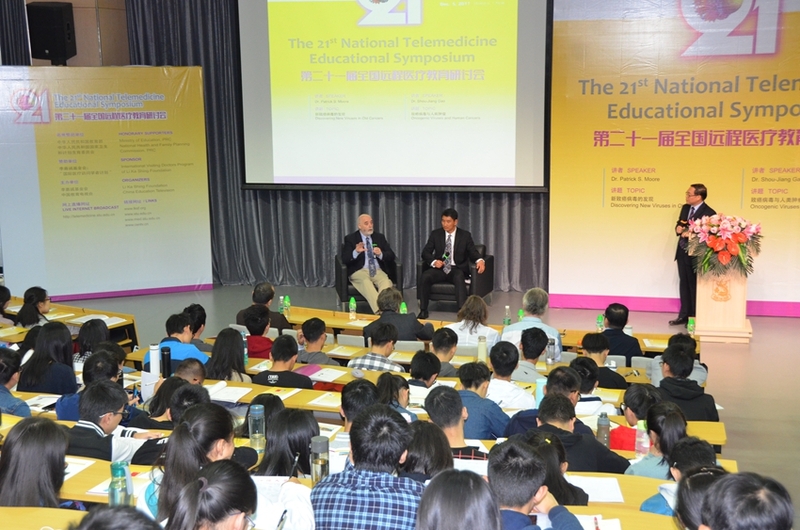 The symposia have helped to promote international academic collaborations and to disseminate advanced medical knowledge/skills in mainland China.